I get so excited when something new comes into my collection and cannot wait to flaunt it as early as possible. My husband gifted me a handbag recently from the brand Charles & Keith and it was a great purchase because we got it during the sale season. 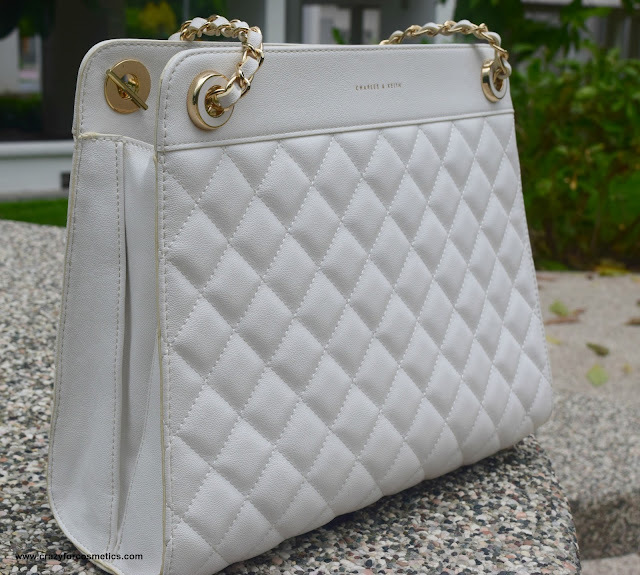 The bag is in white color with golden detailing near the strap which compliments the white so well. 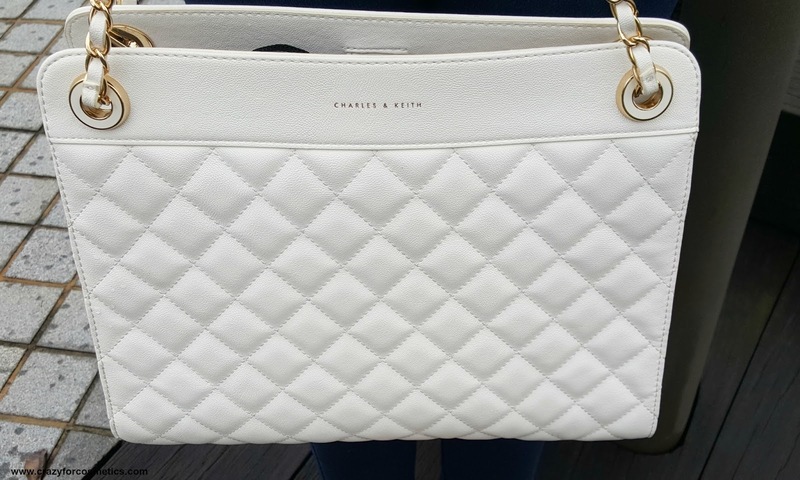 It is a bit difficult to maintain white colored handbags , but it is really worth the efforts. 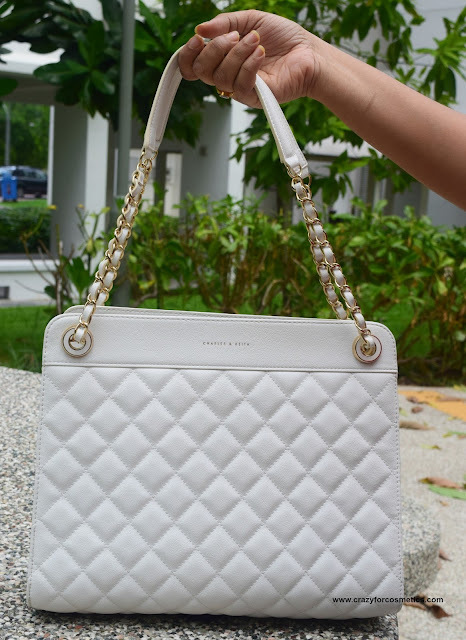 Whenever your white handbag gets dirty, just use a wet tissue & wipe off the stain. I have taken it out on very few occasions but I really feel very comfortable carrying it & storing things in it.Though it appears to be a box type bag, it does expand to an extent while placing things inside. I love the self design on the bag which is really classy and white is definitely going to make a statement on its own. I keep it neatly wrapped in the cloth bag that was given by Charles & Keith, after wiping any stain or sweat post usage. I keep the bag inside my cupboard so that it has minimum exposure to moisture & air. I carried the white bag on days I wore dark colors , so that the bag would stand out and here is where I am sporting the bag. 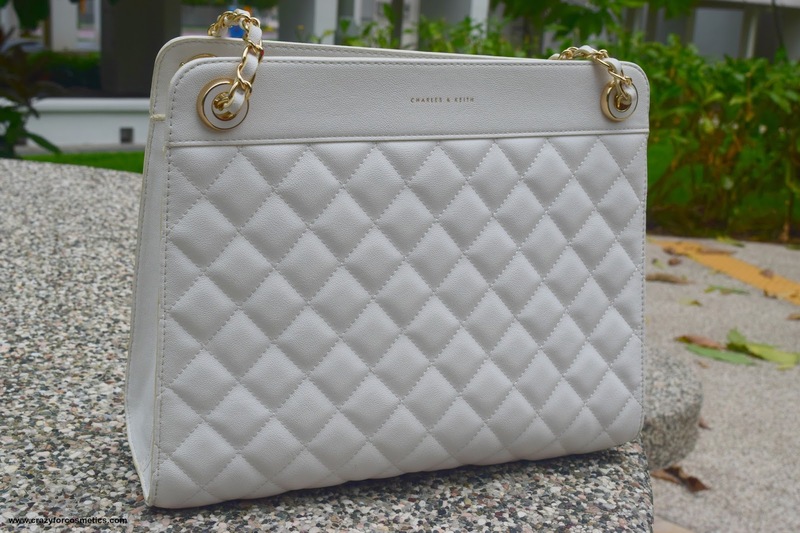 Price : SGD 50 during Sale time and it is totally worth the money spent since it is such a classy, high quality bag. 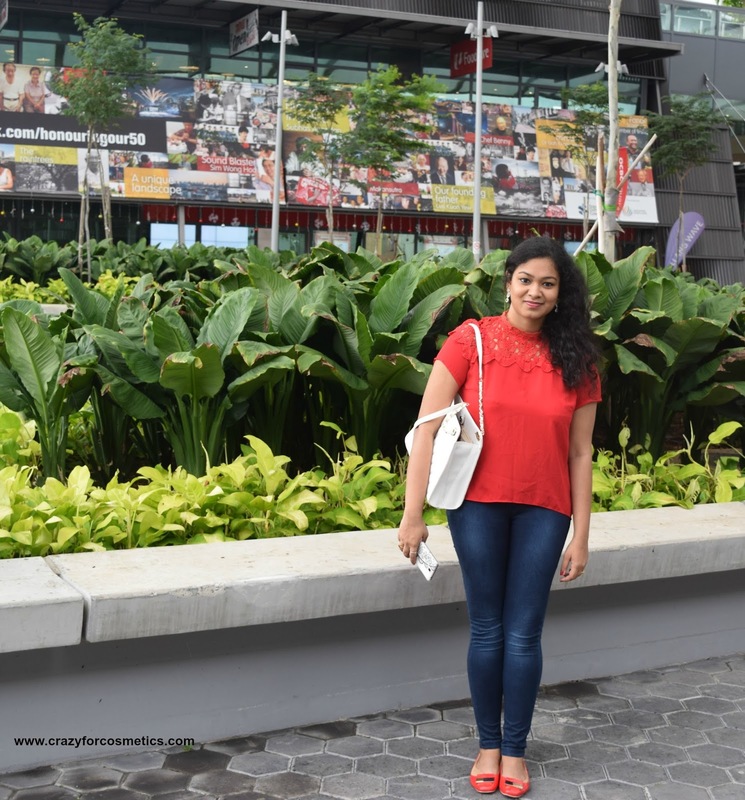 If any of you are eyeing this brand, whenever you plan to travel to Singapore, do grab one from the Duty Free shop in the airport or at their outlet store in IMM mall in Singapore. Did you like my new bag ? 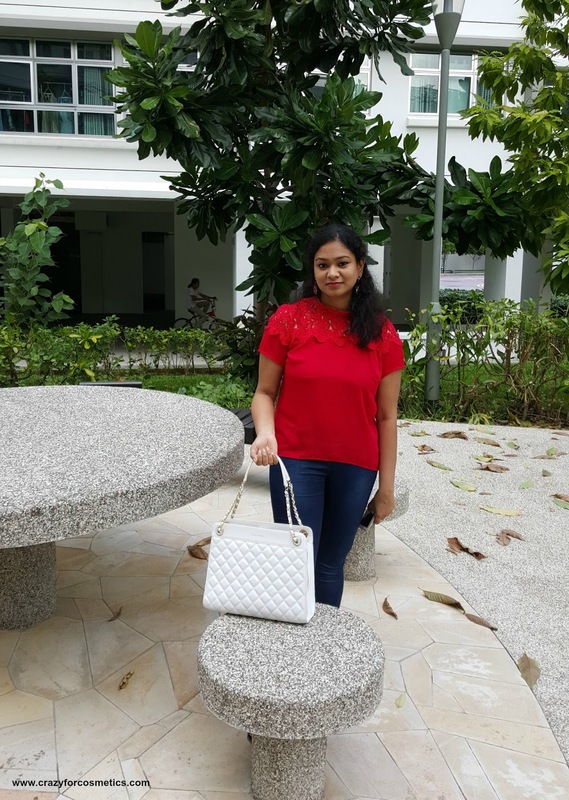 How many of you are crazy about handbags & especially white bags ?